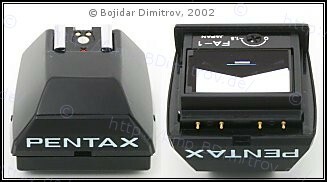 The body-viewfinder connections are purely mechanical (except for those viewfinders that have a flash hotshoe). No meter recalibration is necessary when switching to a different viewfinder. No viewfinder shutter blind is needed. All viewfinders show the entire viewing screen as well as the information LEDs on the right side. 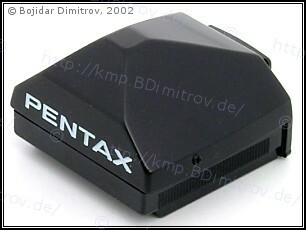 i = When not in use, this viewfinder can be folded up almost completely flat. 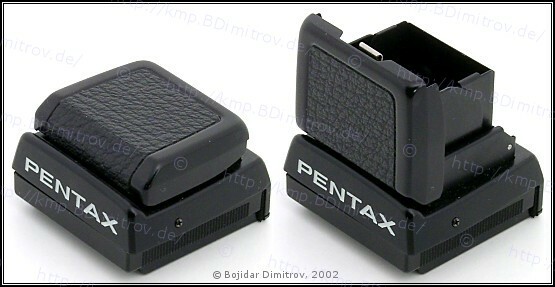 ii = The viewfinder base must be used in conjunction with one of the viewfinder eyepieces. 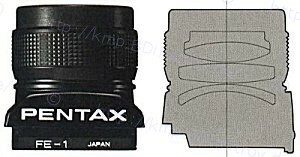 iii = The viewfinder eyepieces must be used in conjunction with the viewfinder base. iv = This eyepiece can be turned at 180°, thus useful both as a waste-level and eye-level finder.